The telescope operator will operate the guide camera, used both for target acquisition and autoguiding. The observer may start a display of the guide camera image on either gouda or karnak for convenience. To start guidercopy simply click on the appropriate guidercopy icon in the toolbar. 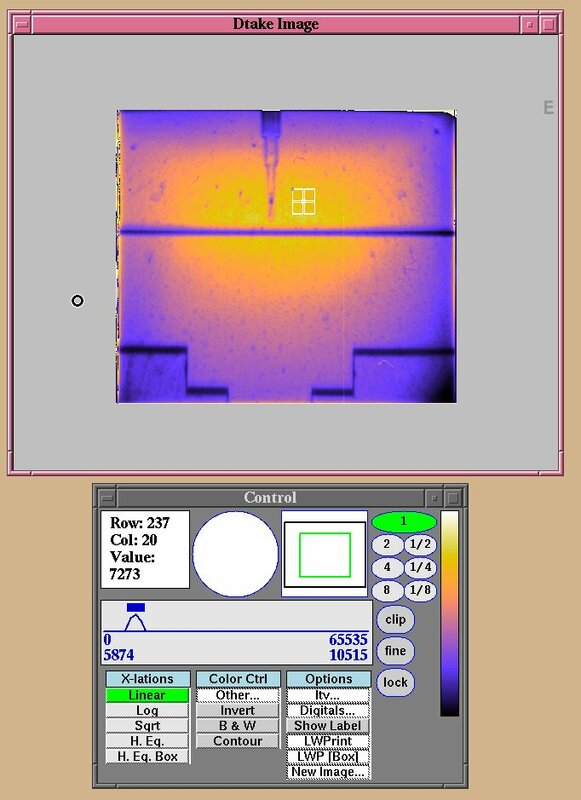 Two windows, an image display window and a control panel, will be displayed (see Figure 1). The xvideo vista display program is used with numerous instruments and will look familiar to many observers.